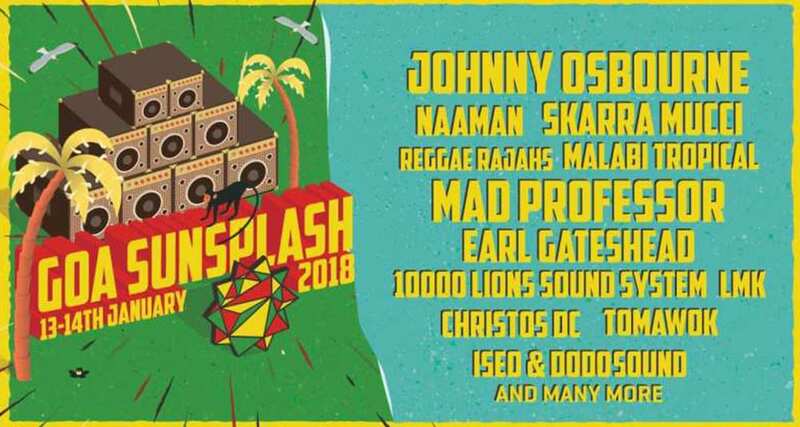 We at Mixtape are thrilled to be a part of the 3rd edition of India’s largest reggae and soundsystem festival, Goa Sunsplash, happening on the 13th and 14th of January at Riva Beach Resort, Mandrem. With 3 music spaces catering to all styles of reggae music from dub to dancehall, this edition will see some of the biggest and hottest names from within the country and abroad. Headlining the festival are legendary Jamaican reggae and dancehall singer Johnny Osbourne, dub pioneer Mad Professor, veteran UK selector Earl Gateshead and the reggae stars from Europe, Skarra Mucci and Naaman. The festival also hosts stalwarts of Indian reggae Delhi Sultanate & Begum X, Reggae Rajahs, Dakta Dub, Rudy Roots to name a few. Grab your tickets right away and ease into the new year on the sunny shores of Goa.